The color schemes and the audible rumble are fun additions. 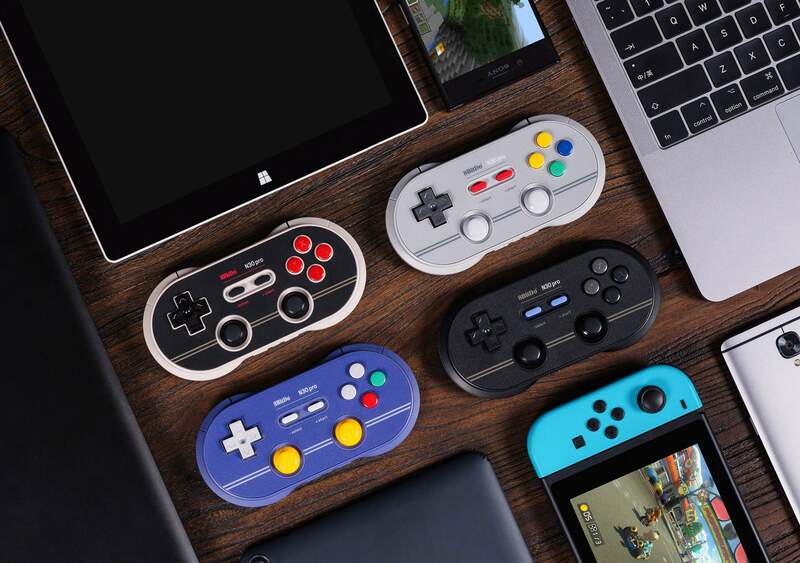 Does the N30 Pro 2 have a place in 8BitDo's lineup anymore? 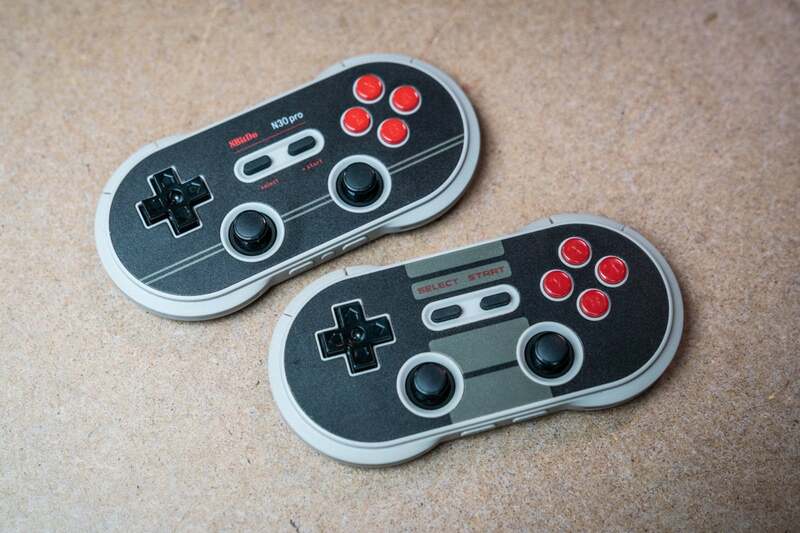 8BitDo’s N30 Pro was a fun controller that married classic NES aesthetics with modern controls. Its sequel—the N30 Pro 2—adds new features without changing much. For better or worse, it features the same balance of portability and comfort, while adding rumble, tilt controls, and USB-C charging. 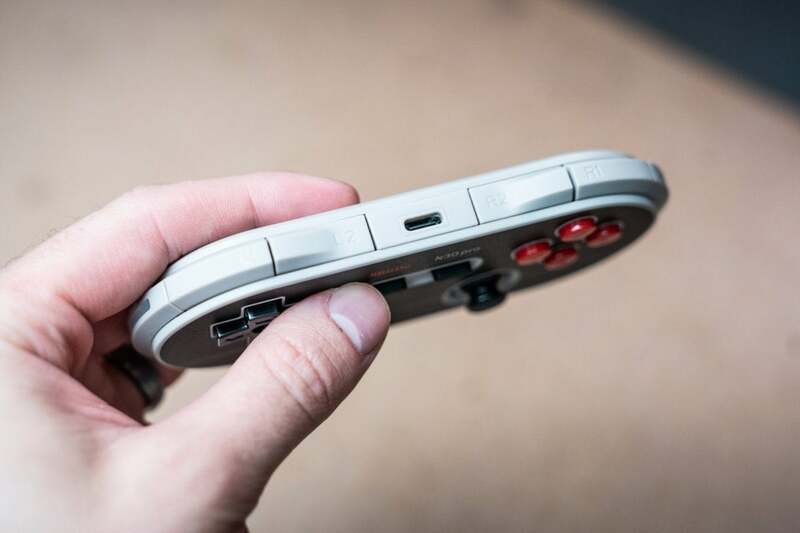 But since the release of the Super Nintendo-themed SN30 Pro it’s been hard to recommend the N30 Pro. The updates do little to change that. Of these new features, it’s the rumble that adds the most to the N30 Pro 2. Without ripping the controller open I’d say that the motors feel fairly small, but they are still noticeable. They are a bit on the louder side, but it’s not a deal-breaker, and having it is a very welcome upgrade. USB-C charging is another nice upgrade to the N30 Pro 2. I might be in the minority because of how much tech comes across my desk, but I’ve gotten to the point where it’s harder for me to find a Micro-USB cable than a USB-C one—and it’s only going to get worse from here. When it comes to the updated button layout on the bottom of the controller, it’s very minor. Instead of a dedicated power button the controller is now powered on by holding the start button—just like the rest of 8BitDo’s offerings. So the only buttons that are featured are pairing, home, and the new turbo function. The last thing to note is the updated color schemes. The original N30 Pro more closely resembled the NES, featuring a stripe down the middle and a similar font for Select and Start. For the N30 Pro 2 the changes make it a bit more subtle, but each version is obviously mimicking classic hardware. If you weren’t a fan of the first N30 Pro, there's nothing here that will win you over—this is really an update to bring the line up to snuff with the SN30 Pro. But since the SN30 Pro came out I have rarely decided to use the N30 Pro, and the updates to the N30 Pro 2 aren’t going to bring me back. 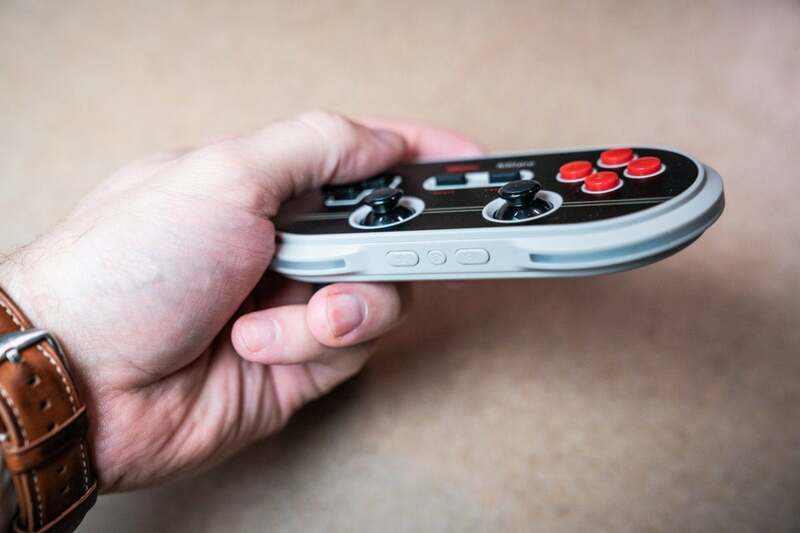 This remains a nice option for those who prefer a super-small form factor and cool lighting, but for most people I would recommend the SN30 Pro because of its larger sticks, better shoulder button layout, and thicker frame. 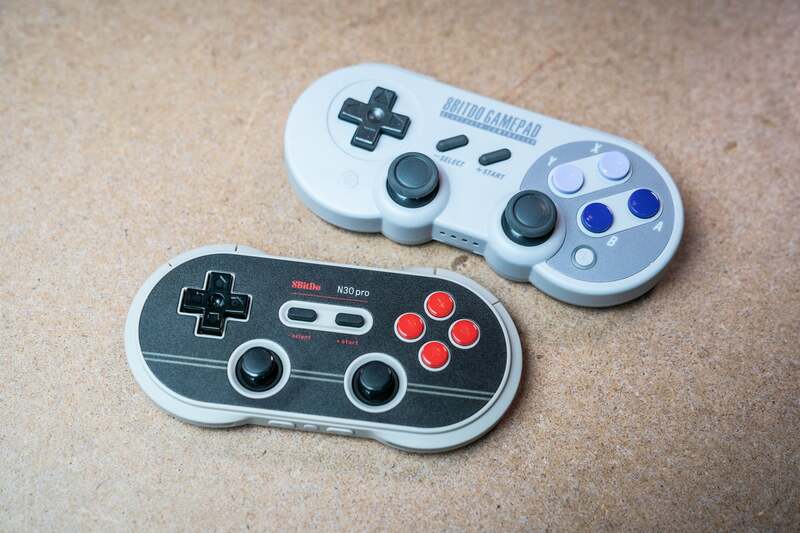 The 8bitdo N30 Pro 2 is a nice option for those who prefer a super-small form factor and cool lighting, but I'd recommend the SN30 Pro because of its larger sticks and thicker frame.